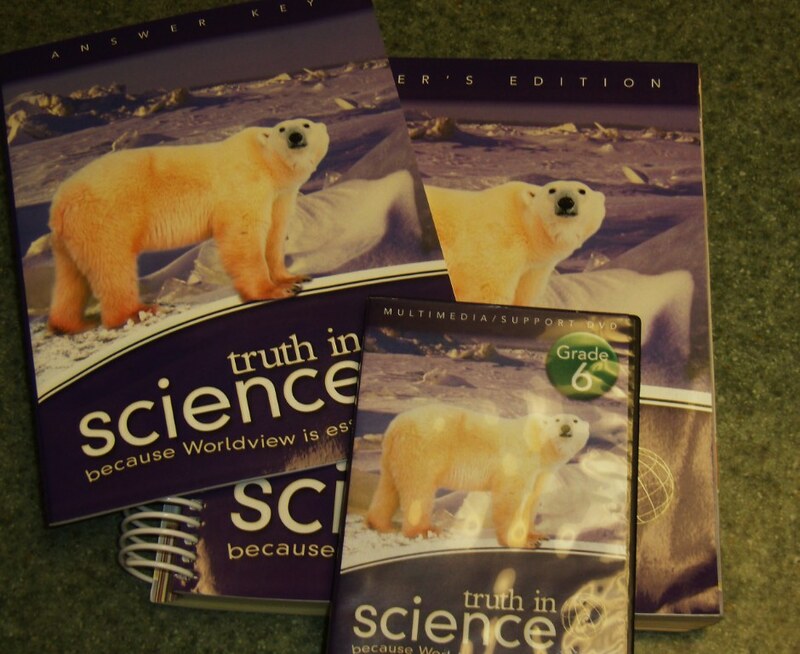 Here is a Christian-based elementary science (3rd-6th) with worldview emphasized as an integral component of the program. 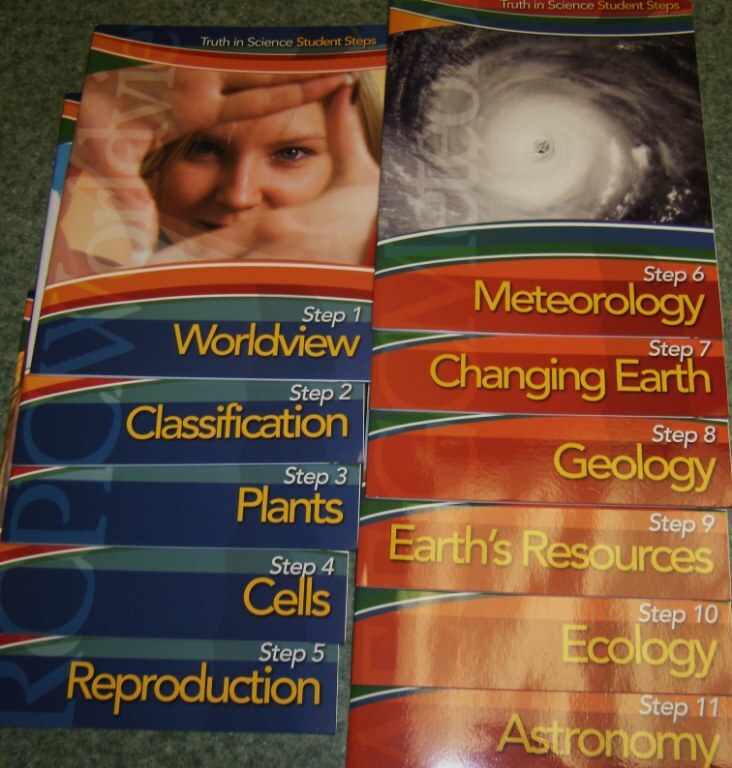 There are eleven individual workbooks called Steps, each on a different topic, a Teacher Edition, an Answer Key, Test and Quiz Packet and a Multimedia Support Video. The Plant Step with the matching TE lesson. The science program is unapologetically creationist at its core. However, it also presents the theory that evolutionists teach. By explaining both theories, students are better able to draw their own conclusions based upon the evidence. The teacher’s guide is an amazing wealth of information. 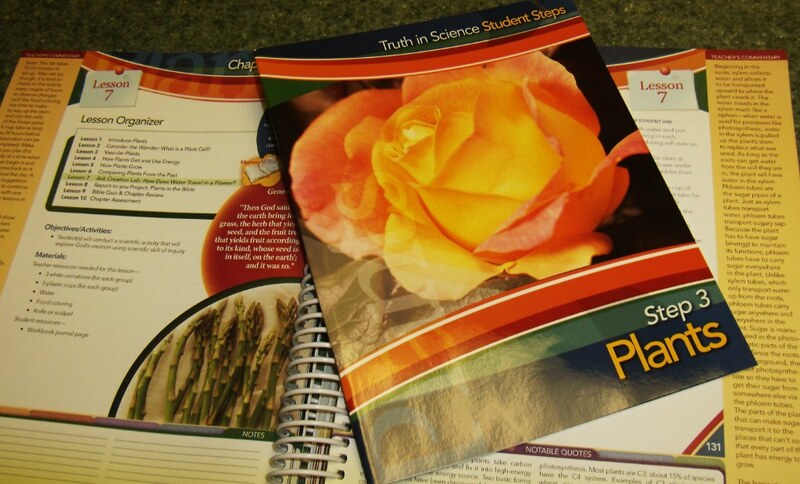 Each lesson *can* be done independently with the student booklet, however, the teacher’s guide provides additional information and fascinating trivia. 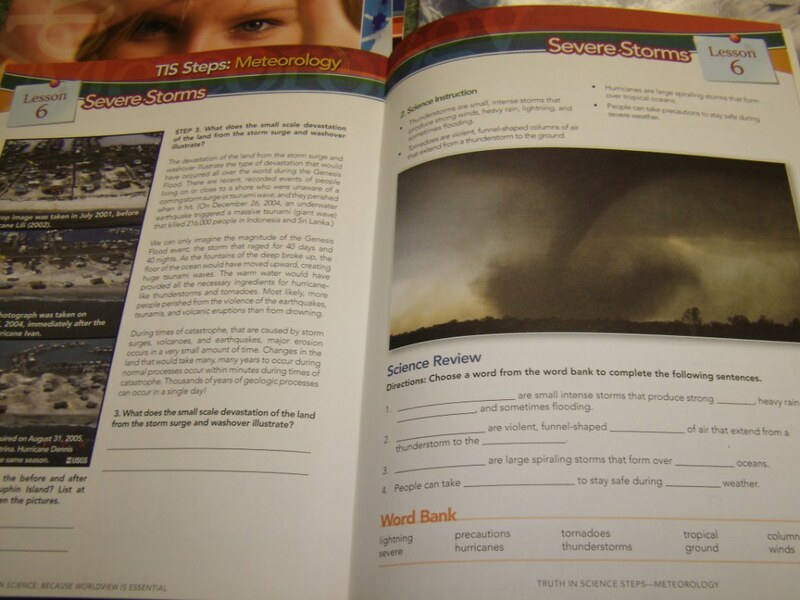 Answers for the student books are found on the included CD ROM. The curriculum expects that your student will have access to the internet or library. Each “step” has an assignment for the students to complete. Some of the “Report to you Projects” are solely hands-on experiments where the student will document each step, others require the student to do extra research on a topic and report their findings. The biggest drawback is that the curriculum is grade based, and it is quite time consuming to modify to teach multiple grades together. The lessons do not correspond completely, so it does require extra work if you are going to try to work on different grade levels. It is estimated that you will spend 40 minutes 4 days a week using this curriculum (the student portion is about 15-20 minutes daily). We are not going to finish it in one year, as this has been a supplemental science for us… as such I really like that you can chose what to study (in the order you study them). I have a 4th and 6th complete set in the store that can be previewed if you are curious about it. The others can be ordered. It is for sale as a complete set ($93.86….retail is $99) or by individual parts. Yes, the complete set for each grade is $93.86. The parts are available individually also for 5% off retail.